Atlanta Health Care Property Consultants, Inc.
Lyman Davidson Dooley, Inc. EDT Constructors, Inc. The New Hope Medical Office Building is a three-story, 23,744-square-foot, total precast structure. The sleek, modern design of the buff and grey building is amplified by the two distinct exposures per color. Sandblasted cornices and three-quarter-inch reveals enhance the unique look of the structure by creating depth and contrast along the 212-foot-long structure. 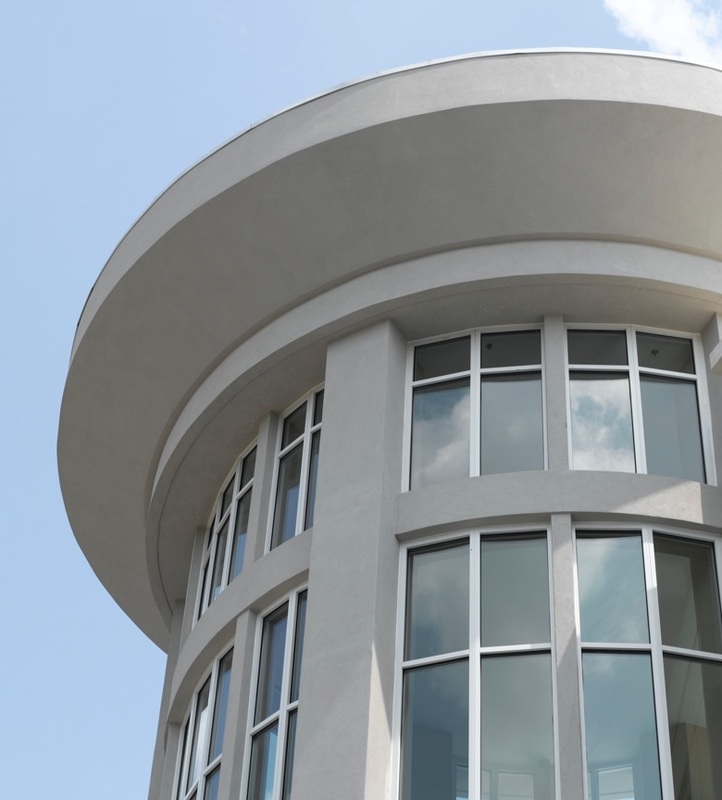 The building also features an impressive rotunda, which required shaping, framing, and fitting precast to interface with the structural steel. The New Hope Medical Office Building was used as a “test” construction for the city of Duluth. The test was to see if city officials would approve of precast concrete as a method of construction for future jobs within city limits. Tindall was selected for its impressive architectural finishes, high-quality components, competitive pricing, and fast design-build schedules. When construction was completed, officials in Duluth were impressed. They now use this highly successful precast construction as a basis for other projects within the city.